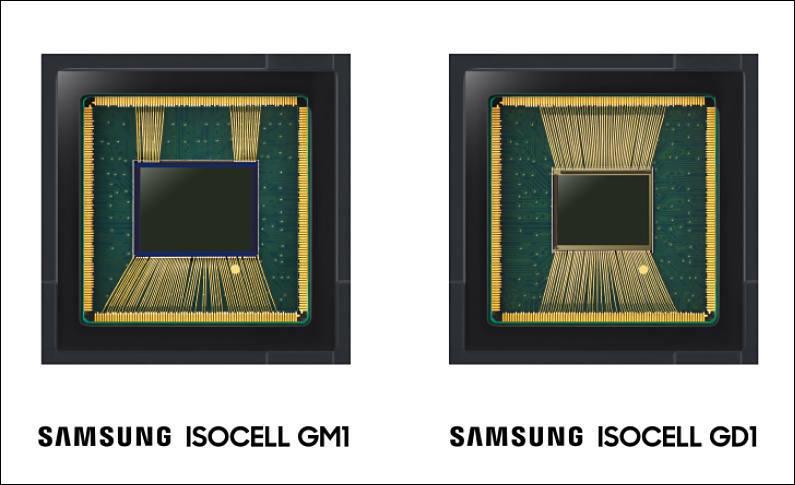 Samsung Electronics Co., Ltd., a world leader in advanced semiconductor technology, today introduced two new 0.8-micrometer (μm) pixel image sensors – the 48-megapixel (Mp) Samsung ISOCELL Bright GM1 and the 32Mp ISOCELL Bright GD1. As cameras are becoming a key distinguishing feature in today’s mobile devices, smartphone makers are faced with the challenge to fit multiple cameras into the sleek designs of their latest flagships. At a reduced pixel size, the new sensors provide greater design flexibility, enabling camera module manufacturers to build smaller modules or pack more pixels into existing designs, and consequently allowing smartphone makers to maximize space utilization in slim, bezel-less smartphones. The GM1 and the GD1 sensors are based on the company’s latest pixel isolation technology – the ISOCELL Plus* – which optimizes performance especially for smaller-dimension pixels, making them the ideal solution for today’s super-resolution cameras. In addition, thanks to Tetracell technology, where four pixels are merged to work as one to increase light sensitivity, the GM1 and GD1 can deliver light sensitivity equivalent to that of a 1.6μm-pixel image sensor at 12Mp and 8Mp resolution, respectively. The sensors also support Gyro-based electronic image stabilization (EIS) for fast and accurate image capture. A real-time high dynamic range (HDR) feature is added to the GD1 to deliver more balanced exposure, richer color and detail when filming selfie-videos or streaming live video content even in low-light, high-contrast environments. The Samsung ISOCELL Bright GM1 and GD1 are expected to be in mass production in the fourth quarter of this year.